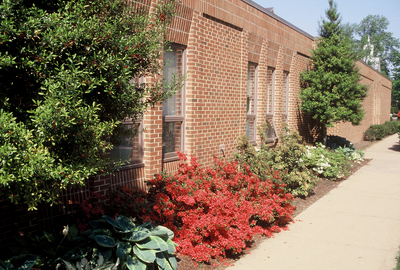 "Azaleas in front of Nininger Hall" by L. Michael Hill Ph.D.
Azaleas, Rhododendron sp. (Ericaceae) are popular spring flowering shrubs and many varieties and species occur because of hybridization and selection. This is a typical example found in front of Nininger Hall.